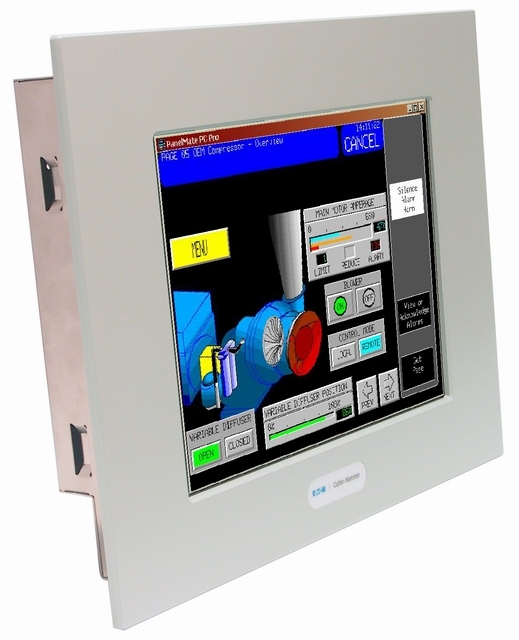 Eaton’s series of flat panel industrial displays provide the maximum flexibility to accommodate operator needs. The displays come in 12”, 15” and 17” sizes and include a resistive touchscreen. The displays also feature color TFT LCD technology, 100-240 VAC power input and a heavy-duty stainless steel chassis. The displays are ideal for use with the PanelMate ePro PS Blind Nodes, providing a variety of mounting configuration options and the flexibility of connecting to different-sized external displays.